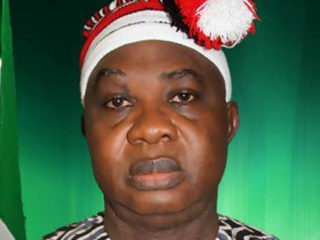 The Enugu State Governor, Rt. Hon. Ifeanyi Ugwuanyi, as usual featured prominently in the news in the last three weeks. During the period under review, Ugwuanyi was named the “2018 The Sun Governor of the Year” for good governance; rapid rural development; regular payment of workers’ salaries and retirees’ pensions even without the receipt of federal allocation; nurturing peace and harmony among the political class and critical support for security agencies, among others. Prior to this honour, the National President of Trade Union Congress of Nigeria (TUC), Comrade Bobboi Bala Kaigama, while in Enugu for the ground breaking of 100 Housing Units for Nigerian workers, commended the governor for his sterling performance in office and outstanding commitment to the welfare of the state’s civil servants. The housing project under reference is being developed by the Federal Mortgage Bank of Nigeria (FMBN) in collaboration with Nigeria Labour Congress (NLC), Trade Union Congress of Nigeria (TUC), Nigeria Employer’s Consultative Association (NECA) and Enugu State Governmen. Ugwuanyi’s administration in fulfillment of one of its contributions to the speedy actualisation of the project, which is so dear to the workers, recently awarded contract for the construction of access roads to the site. Also within the weeks under review, the Rangers International Football Club of Enugu staged one of the greatest soccer comebacks to win the 2018 NFF/ AITEO cup after 35 years of the club’s last victory in the competition. It would be recalled that Enugu Rangers FC, under the present administration, exhibited similar historic feat when it won the 2015/2016 Nigeria Professional Football League (NPFL) cup – breaking the jinx of being unable to win a trophy after 32 years. The World Bank Group rated Enugu State as the second most advanced state in Nigeria towards the frontier of global good practices with regards to Ease of Doing Business. The objective rating, which was contained in the recently released World Bank Doing Business in Nigeria 2018 report, by implication, showed that Enugu State, under Gov. Ugwuanyi has institutionalised far-reaching socio-economic reforms and provided critical infrastructure and security that have engendered a robust climate of Ease of Doing Business, creating an increased inflow of local and foreign direct investments in the state. It has also gone a long way to showcase the ingenuity of the present administration in advancing the cause of business engagements in the state through innovations, accountability, fiscal discipline and efficient public expenditure management for the overall wellbeing of the masses. Prior to the recent World Bank rating, the administration had received similar verdicts and commendations from well-respected bodies. These include the Senate on the judicious utilisation of the bailout funds; the BudgIT report, which listed Enugu, Lagos and Rivers as the only three states out of the 36 states of the federation that have fulfilled obligations to their workers; the recent Economic Confidential magazine verdict that listed Enugu among the seven states that are solvent with impressive over-30 per cent Internally Generated Revenue (IGR) to fund additional economic activities. 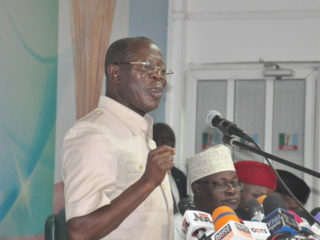 Others include, the fifth most competitive state in Nigeria, according to the National Competitiveness Council of Nigeria; the third most debt sustainable state in Nigeria; the first state in Nigeria to publish its Audited State/Final Account for three consecutive years; first in the South East geo-political zone and ninth in the country based on IGR as against Federal Allocation; one of the twelve states in Nigeria that can survive without federal allocations, among others. The climax of the weeks’ event in favour of the governor was the Ohanaeze Ndigbo’s validation of the gale of endorsements for the governor’s re-election by various groups across the state and beyond. The Enugu State chapter of the apex Igbo socio-cultural organization, which made the stance during its rich and colouful Iri-Ji (New Yam) Festival held at the popular Michael Okpara Square, Enugu, stated that the validation was “an ultimate Seal of Authority in Igbo Land”. 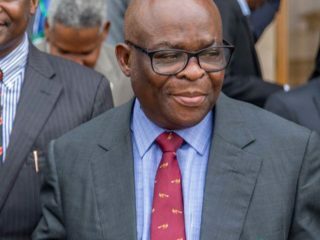 The highly revered body added that it was also “the most bankable promissory note that beckons on the Independent National Electoral Commission (INEC) for a Certificate of Return to His Excellency, Rt. Hon. Ifeanyichukwu Lawrence Ugwuanyi as the governor-elect in Enugu State come 2019”. Speaking on behalf of the excited members of the organisation’s state chapter, its President, Chief Chiedozie Alex Ogbonnia, further explained that they were amazed at the list of numerous groups in the state that have endorsed the governor for a second term in office, which included – “The traditional rulers council and the members of their cabinets; Association of former elected Local Government Chairmen; Enugu State Amalgamated Traders Association; Christian Association of Nigeria (CAN); National Association of Proprietors of Private Schools (NAPPS) and others. In his remark, the President General of Ohanaeze Ndigbo, Chief Nnia Nwodo, who witnessed the historic cultural festival with the governor and other dignitaries, noted that the validation by the Enugu State chapter of the organisation was an outward demonstration of solidarity for the governor, saying that “you (Ugwuanyi) are such a humble man that I don’t know how low you can get again in order to show more humility”. His words: “Well I cannot say anything rather than that I have noted with great satisfaction what the people of Enugu State have said today. And when I summon the next meeting of Ime-Obi Ohanaeze, which is the highest decision making organ in Igboland, we will take into consideration what was said today because Ohanaeze must look at all our governors and their respective states and say our opinions as to who has been doing well. On this note, I say congratulations to you, as we invite you to come and appreciate what we are doing today”. During the recent workers’ 100 housing units’ ground breaking ceremony, the TUC National President recalled that Gov. 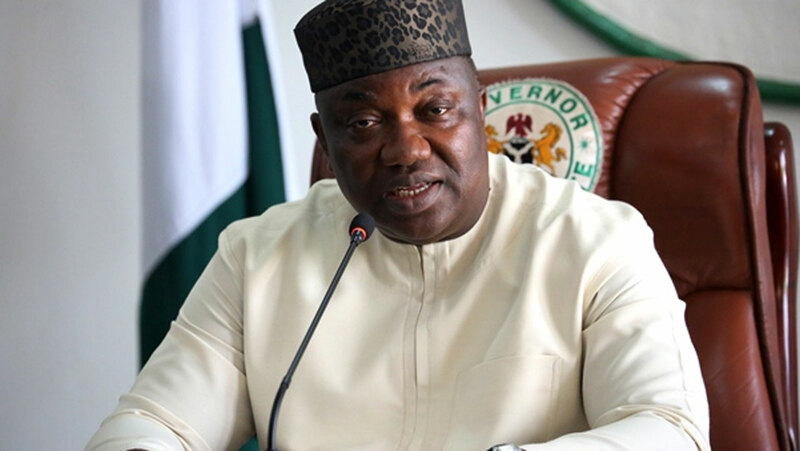 Ugwuanyi’s administration had provided similar 100 units of one-bedroom apartments for the state’s civil servants between grade levels 01-10, who became proud landlords, after the state government paid 54 percent Equity Contribution. Appreciating him further, Comrade Kaigama declared that “Gov. Ugwuanyi is second to none in the provision of workers’ welfare in the South East geo-political zone”, and “a performer and humble leader” who listens when it comes to challenges confronting the workers and the entire people of the state. He stated that the governor has set the pace for other states to emulate, stressing that “Enugu State is working under your leadership and that is not only because you are a performer, but you exhibit the sense of performance with humility”. According to him, “we would say it anywhere because you have done it and you are still doing it. We assure that the working class not only in Enugu State but also in the entire nation is supporting you on your efforts to deliver the dividends of democracy”. From the foregoing, it is being reaffirmed that Ugwuanyi has continued to make a positive mark in the governance, through his selfless service, vision, strength of leadership, sheer dexterity, and passion for the wellbeing of the people of the state – the true heroes of democracy. It is therefore, expected of the people to continue to reciprocate this gesture through their solidarity, goodwill and support.